Phone Tips Android - A phone, Mobile Phone Company, or What? Since smartphones were introduced in the late 1960s, Android OS has taken the front seat by supporting a variety of mobile devices working with touch-interface. Several versions of this operating system have been launched and released into the mobile phone industry for manufacturers to use in developing their devices. Each version came with an improvement in functionality and performance while adding intriguing features and capabilities to the overall feel of the software. The latest version released August 2017 is Android 8.0 also known as Android Oreo. What is new in this latest release? What has improved and what has been abandoned? Find out more! Many are of the opinion that it is a brand of mobile phone. Some believe it is a company that manufactures mobile phones with smartness. The truth is that Android is neither a phone nor a mobile phone company. Android is an Operating System. That is, it is a system software that creates the functioning platform for other applications (software) to operate on. It is called an OS because it manages, maintains and monitors how hardware devices and applications perform. It equally acts as the bridge that allows interaction between hardware components and applications. These hardware components are the major interfaces and inputs points through which users interact with the features of a particular software installed on the device. Android is an Operating System developed, distributed and managed by Google. When the idea to develop mobile phones with touch capabilities emerged, few other OS used by Nokia and Samsung phones were invented. Along the line, a powerful touch-based OS, in Android, was introduced into the brand. It took just a few years for it to become de facto OS chosen by manufacturers. First Tecno Mobile created, what then was regarded as, “cool” phones using this OS. This quickly lifted the Tecno brand, drawing strong competitions with Nokia, Alcatel and Sony Ericsson. Users could use their fingers to touch buttons and commands on the screen, rather than the use of pen or pressing of buttons that dominated the industry. Coupled with other cool features for social media interaction and ego it gave users, a greater percentage of phone users, who could afford one at the time, tilted to Tecno to join the smart party. Other companies, discovering the marketing benefits of this operating system, followed the train by manufacturing touch-based mobile phones with Android as the system software. Though Nokia made adjustments to allow for uniqueness, they have however joined fully in using the operating system. Recent Nokia phones such as Nokia 8 come with fully powered Android nougat (version 7.0). The development of this OS began version 1.6 which was called Android Donut. Subsequent versions followed as Éclair, Froyo, Gingerbread, Honeycomb, Ice Cream Sandwich, Jelly bean, KitKat, Lollipop, Marshmallow, Nougat and O or Oreo were developed. Each of these versions came with an advancement in operability and features, while fixing bugs and solving problems previous version(s) did not. The good thing about Android as an Operating System is its multitasking nature. Unlike some OS used in mobile devices, Android allows users to perform several tasks on the same device at the same time. This implies that you can launch several applications and equally work on each of the application without the need to close any one of them. This comes in handy when comparing information from two different applications. For instance, you might want to respond to an email using an information from a text message you received. All you need to do is to minimise each of the application while opening the other. Android O (called Android 8 Oreo) make this function more intriguing. Rather than display a stack of applications over each other, it displays a diminished version in form of icons which you can tap just once to open. Security is a top feature included with this OS. With different security methods, you can protect files, folders, applications and the entire device from unauthorised accessed. The security gets better with higher versions and applications. Some of the versions carry fingerprints, voice recognition, face scanning, and PIN security functions. With all these, you are confident of protecting your information and files to a better percentage of safety. Your apps are not hijacked from the background or tampered with without your knowledge. Even to access to your location, messages, contacts, etc. is only allowed when you grant permission. “All work and no play make Jack (or Jill) a dull boy (or girl)”. That is the popular saying. So, the smartness will not have been complete without the fun. Android supports entertainment platforms and functions to allow users get excitements and happiness, even on busy schedules. You can stream videos with YouTube, play music, customise your photos and watch them slide and you can play intellectual games, and if interested, play to earn money. All have been integrated to ensure that boredom is eradicated and stress is managed right from your device. Smartness entails the neatness, elegance, usability and presentation of the OS. Features have been nicely included to address specific concerns and improve ease of operation by users without requiring expertise and technical know-how. This makes sense for those who are just starters in using smartphones. There is a tour guide attached to some of the recent versions to help newbies use and master it within few days. Not only has it been developed for personal use, it has been expanded to cover business and office needs. So with this OS, your business and office get the productivity it needs. Applications such as Microsoft Office, Google Apps, Mobile Banking Apps, etc. allow business activities to be carried out on the go with powerful collaboration with team members irrespective of location. For individuals, you no longer moan over when to reply emails, access adverts online or make payments when it is not working hours. With your device, you can do more to ease your activities and improve speed. Information sharing has not been left out. How communication is handled is dependent on the type of version your device uses. For sure, a newer version provides better communication features and performances. The Notifications area allows users to view messages, emails, missed called and other important notice they might have missed out. This ensures that response and attention are given to the most pressing demands. You can send text messages with ease, make and track calls, send and receive emails, use video calls and many other communication features. Android started out with mobile phones when touch-based input devices first came out. Recently, several devices have been manufactured to use touch technology, thus giving room for a wider patronage of touch OS such as Android. Android OS now powers and supports a variety of mobile devices and electronic gadgets, especially those newly launched into the consumer market. This is enhanced by the Open Source Approach which allows manufacturers to customise features to suit their brands and products, and also, the wide patronage of people using touch-based devices. Next to smartphones are tablets which are larger in display size. Just as with phones, tablets are manufactured to fit in with the layout, structuring, functionality and performance of Android. Depending on the version installed, the work-format of tablets will differ. You can find out supported tablets on Jumia. This is deemed a great feat in mobile technology. With these watches, you can monitor your schedules, measure heartbeat, stream music, connect to cellular networks, watch slides of pictures and use some of your popular applications on the move. You never get to worry about portability and convenience as everything is nicely fitted to your wrist granting you the freedom to do other things while monitoring time. Jumia has a great lists of these watches. This comes as another advanced approach to the broader goal of the Android OS which allows for compatibility via Open Source customising by tech industries. Several digital televisions have been manufactured to work perfectly with it. You can stream popular videos on YouTube and Hulus Plus. In addition, open popular movies’ stations and applications using the integrated Voice Control function. Just say what you want and the OS will do the rest by searching for the match and delivering the output. For instance, you can just say, “Jurassic Park” to access the movie details and equally watch if available. Play android games on a bigger screen and interface, increasing the excitement and fun you catch as you watch. 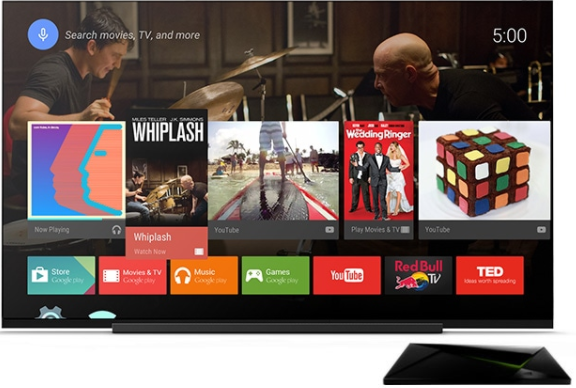 See Android television boxes. Cars now support touch technology for a range of functionality. 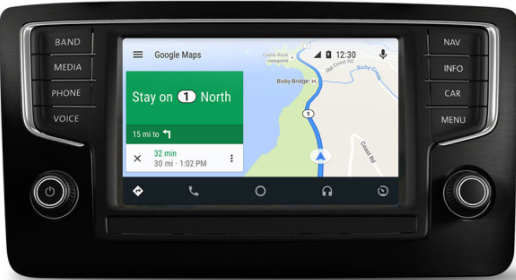 Especially on navigation, Google Maps makes the way for you to plan your movement and at the same time monitor how you navigate to your target destination. This ensures that you get to where you want without being misled or frustrated. It delivers to you important information organised in simple cards that appear just when they’re needed. You get information on suggested destinations (like coordinates, distance, travel time at a particular speed, etc. ), upcoming appointments to keep you abreast and weather conditions to ensure safety. Another feature is the voice control which allows you to pick calls and respond to communication needs on the move without losing concentration on the road. That’s indeed useful for addressing emergency situations. These are categorised lists of devices. In each of these categories, there are subsequent devices and type-support with smartphones and Tablets having the highest support and compatibility of thousands. Also, as new devices are manufactured and research improves, Android will support many other categories of devices in the years to come, mostly electronics and electrical devices. There are a number of Android applications, included by default to ensure that, at the basic level, any device on which it is installed offers users the intended experience. These applications are sometimes termed system applications. Restoring, formatting or flashing your phone does not get rid of them because they’re needed for proper functioning and performance of your device. Some of these applications have been given below. This application displays locations – files and folders in your device. You can surf or explorer to wherever you want to with it. Without this application, it will be quite difficult to access the documents in your device. There are different types of file managers, but Android comes with an easy to use one with an appealing user interface which is dependent on the version. This is a virtual store for applications. There are lots of free applications and paid ones on Google Play Store grouped into Education, Games, Books, Videos, Music, etc. Play store enables users to download their favourite apps once for every device. Changing your device does not require a new download, only a new installation with the same account. Launcher manages and controls the user interface. That is, it determines the nature and manner in which apps and other necessities are displayed, background positioning, theme functions, interactions and looks. Some users like me often choose to replace the launcher with more intriguing ones. The choice is yours to make. Sometimes, when more than one launcher is installed on a device, you will receive notification prompts to choose the default launcher – Always or just once. Messaging existed long before Smartphones were developed. So, it would have been a blunder not to include support for sending and receiving messages. The default messaging app allows users to send and receive both SMS and MMS. The latter permits the addition of multimedia as attachments including sound, pictures, etc. With an email app on your device, you can send, receive, compose and save as draft and equally read received emails at a later time. This enables you to respond to relevant emails from your mobile device without the need for a PC. This is considered a very important application. You can save contacts of friends, family members and colleagues to your phone list to use later. This eradicates the need to memorise every of your contact, which is not possible. At the same time, it helps you to track calls you have made, received or missed at a particular. For received calls or those you made, you can check the time spent in communicating with the party concerned. This is acts as the driving seat for all google applications in your device. These services define the policies and control protocol for the use of such applications. Most applications do not function or malfunction when Google Play Services are missing from a device. Internet and connectivity are for sure another great application embodied with this operating system. You send files, videos, audio, pictures, etc. and equally share internet connections with others. This is made possible via the presence of apps such as Bluetooth, Wi-Fi, GSM, 2G, 3G, etc. All these allow your device to be nicely connected to a world of many possibilities. This is another popular and needed application. This digital keyboard app allows users to enter inputs into fields using the tap system. This is mostly applied to composing emails, text messages, filling online forms, chatting on social media, entering phone numbers and lots of other input related activities. Watch, stream and play videos and music with these applications wherever you are. Never miss out of any event of activity by using the Calendar. You can setup reminders for appointments, meetings and parties to keep you prepared and abreast of what you must attend to at a particular period. Also, birthdays of friends, family members and partners can rightly be saved there for future reference. In case you had liked to keep the memory of some events and sights, Camera will help you to do so. With just a tap, you can take awesome pictures and photos. Some will even give you editing features to add more fantasy to your image. A browser is an application that is used to browse through the pages of a website. There are so many browsers out there, of which the common ones are Google Chrome, opera Mini, UC Browser, etc. Accessing information on the internet is made possible by these browsers. Android comes with its default browser. Most times, Google Chrome and some cases Opera mini. “Time and Tide wait for no man”. This application lets you monitor and manage your time wisely. You can key into important appointments and meetings while on the move by looking at the digital clock available on your device. Not many of us are mathematics fanatics. Even some top businessmen aren’t good with numbers. So, this application comes in very useful. It has been included to help us overcome the daily challenge of performing arithmetics. No more guesses, wrong additions or difficult divisions anymore. Keeping up with what is happening around the world and with our pals is definitely a necessity these days. That is what social applications have us to achieve. You can use them to chat with friends, tell others your adventures, activities and experiences and even share ideas from the things you read, do and monitor. Facebook, Google Plus, Twitter, and WhatsApp are largely included. Gallery! Yes, a collection of all the media files in your devices well organised and sorted to ease access. The Gallery app displays locations of videos, audio and pictures available in you device to help you get a faster glimpse of where to reach out for any of them. By default, Android OS comes with an FM radio. Access to local radio stations for news updates, programmers, announcements and activities and assured with this. With the continual updates in each version of the OS, Android operating systems will continue to power mobile devives for generations to come. With over 1 million users of Android devices, the OS has come to dominate the SMART age. You and I know fully well that there joy and satisfaction from using Android phones. That is why we crave to purchase newer versions of it to wet our desires and accomplish tasks in various fields.